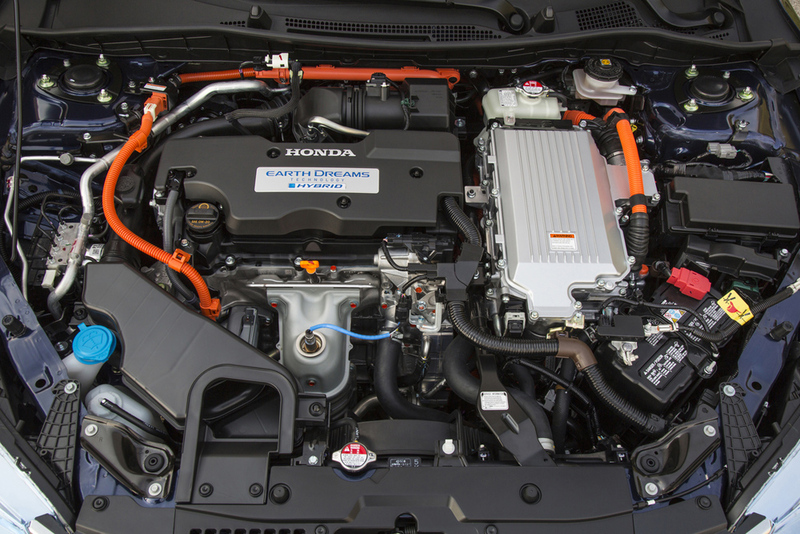 2015 Honda Accord Hybrid Touring is handsome on the outside and spacious and comfortable inside. 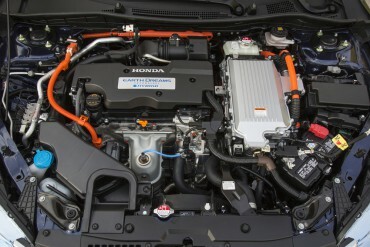 2015 Honda Accord Hybrid Touring engine compartment is jam-packed with a four-cylinder gas engine plus the hybrid electric motor. 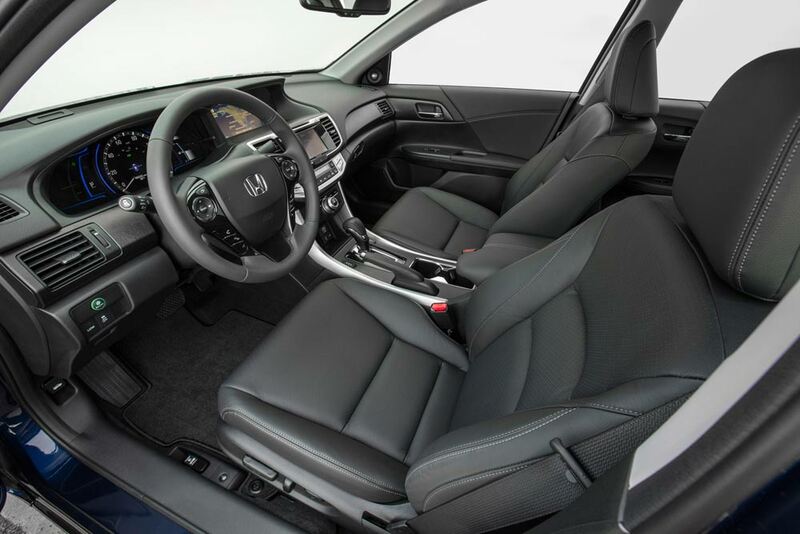 The Accord Touring edition features comfortable leather trimmed seats and lots of legroom. 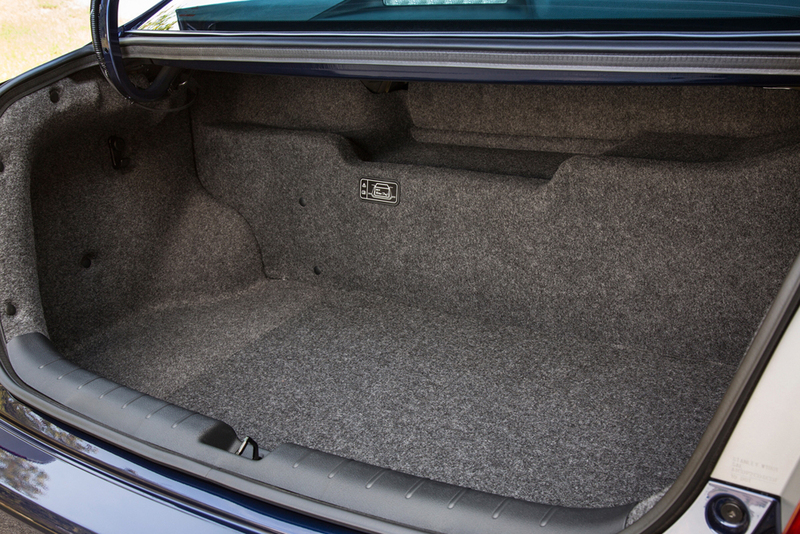 2015 Honda Accord Hybrids give up some trunk space and cargo versatility to accommodate the battery. The Honda Accord is a very deserving best seller in its many variants. Quality construction, high resale value, spacious interiors, and good fuel economy are all part of that winning equation. 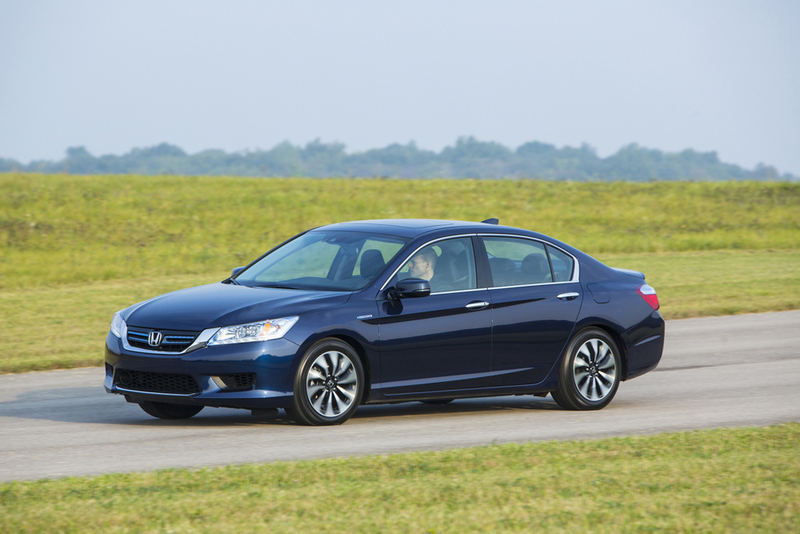 The Accord Hybrid Touring is the most luxurious model with a bonus of fantastic fuel economy.